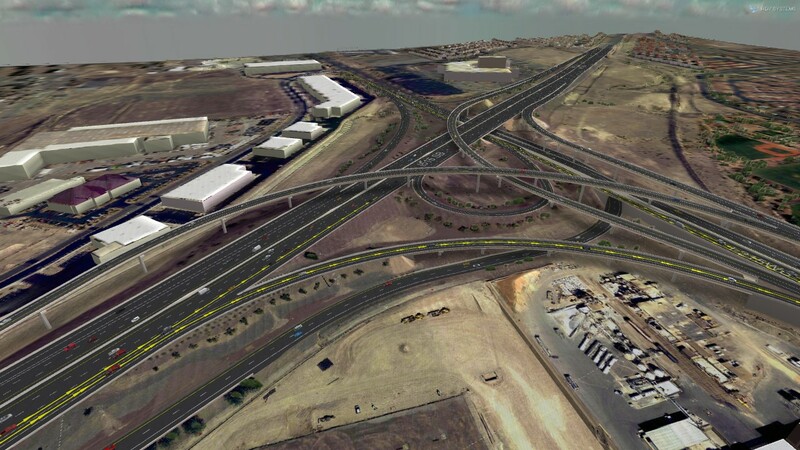 This project will relieve congestion, improve efficiency, and enhance safety for the I-515 / 215 Beltway interchange. Ramp access will be adjusted at the I-515 / Auto Show Drive interchange, the I-215 / Gibson Road interchange, and the I-515 / I-215 interchange. Click GO> to start the tour. Follow the thumbnails in order to travel from I-515 SB to I-215 WB, and from East Lake Meade Parkway to I-215 WB. At each location select "Before" and "After" at the bottom of the screen to see the conditions Before and After construction.